Born 1951, in Te Aroha, New Zealand. Nadel, Dan. “There is No Center,” Modern Painters, June. Laster, Paul. 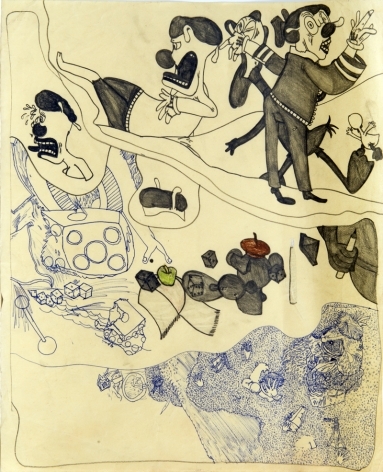 “Drawing from Many Worlds, Susan Te Kahurangi King,”ArtAsiaPacific Magazine, May/June 2015. Amery, Mark. “Inside Out,” New Zealand Listener, July 7. Hirsch, Faye. “Susan Te Kahurangi King,” Art in America, March 13. Rudick, Nicole. 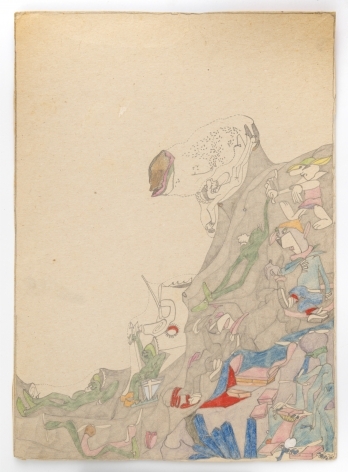 “Staff Picks: Crayoned Cartoons and Computer Corruption,” Paris Review, December 19. Frank, Priscilla. “Here Are the 15 Best Art Exhibitions of 2014,” Huffington Post, December 16. Saltz, Jerry. 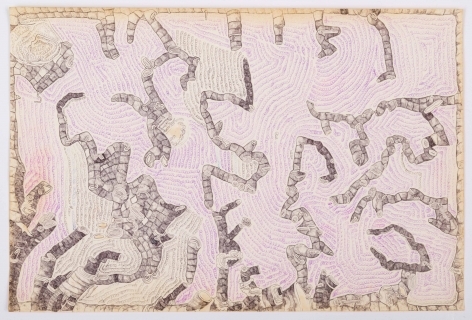 “The 19 Best Art Shows of 2014,” Vulture, December 10. Ebony, David. “David Ebony’s Top 10 New York Gallery Shows for November,” artnet news, November 21. Saltz, Jerry. “All Hail Susan Te Kahurangi King,” Vulture, November 21. Rosenberg, Karen. 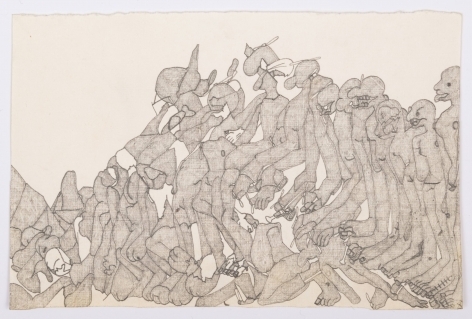 “Art in Review, Susan Te Kahurangi King: ‘Drawings from Many Worlds’,” New York Times, November 20. 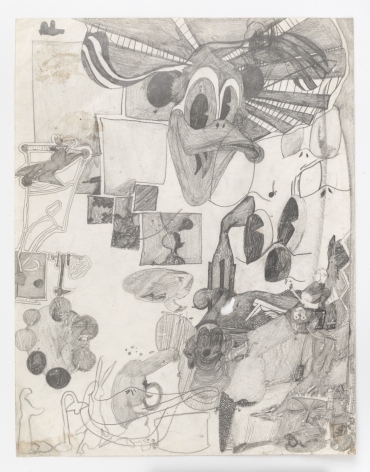 Gómez, Edward M. "Explosive Drawing: Susan King's Mash-ups, Strange Landscapes, and Other Worlds," Hyperallergic, November 8. Frank, Priscilla. “This Outsider Stopped Speaking As A Child, Communicates Solely Through Her Work,” Huffington Post, November 7. Indrisek, Scott. “The Many Worlds of Susan Te Kahurangi King,” BLOUIN ARTINFO, November 5. Saltz, Jerry. 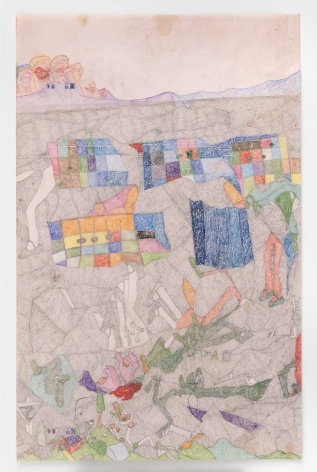 "Seeing Out Loud: The Best Things I Saw at Frieze New York and the Outsider Art Fair," Vulture, May 13. Ebony, David. 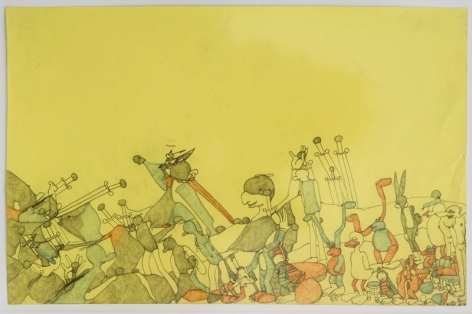 "In Step with the Outsiders: The Outsider Art Fair," Art in America, May 9. Rosenberg, Karen. "Unorthodox, Maybe, but Scarcely on the Fringe," New York Times, May 8. 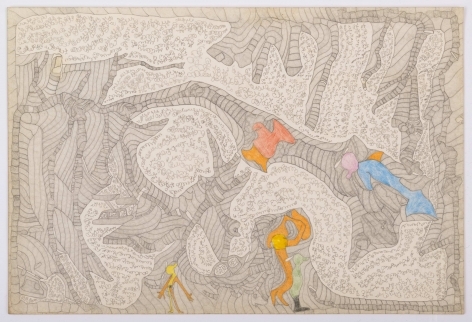 Gómez, Edward M. "Outsider Art Preview: Blurred Categories and Fairs Big and Small," Hyperallergic, May 3. Salmon, Dan (Dir. ), Pictures of Susan, Octopus Pictures, 2012.